July 21, 2016 July 21, 2016 ~ Gypsy Moon Quilt Co. I took my very first Vancouver thrifting trip last week and I was not disappointed. The best part (besides the biggest, most organized linen section ever) was the massive bin full of Hot Wheels cars that occupied my three-year-old while I shopped… or was it having my eleven-year-old summer breaker (who I cleverly bribed with the promise of a few new books) there to watch said miniature-car-obsessed-three-year-old…? It’s a toss up. Either way, I got 10 minutes of uninterrupted mommy-time and I was very happy with my purchase. And did I mention the size of the linen section? This was not your usual case of slim pickins’, friends. This was a legit thrift store phenomenon! BUT in an attempt to keep my excess fabric hoarding stash to a minimum, I decided to only walk away with the seven lovelies pictured above (plus a few Hot Wheels and YA books, obvs). 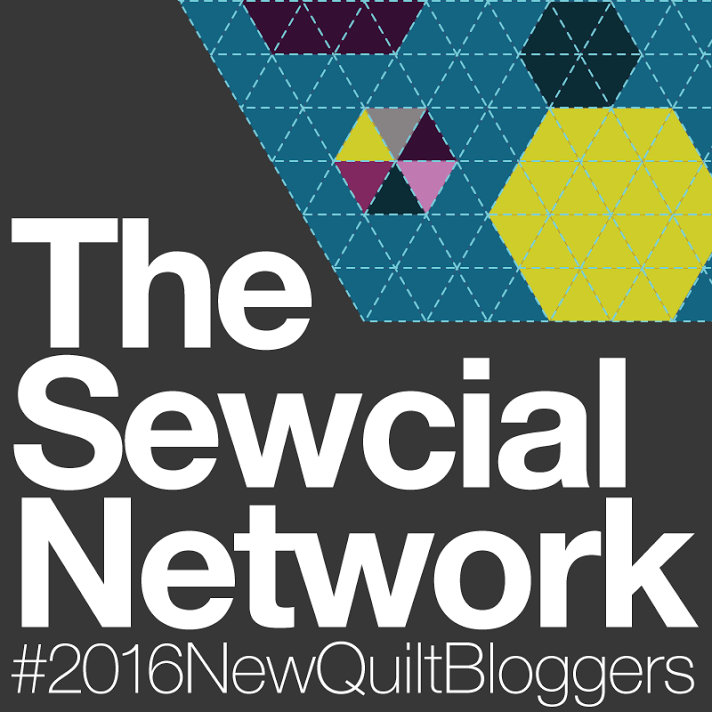 Want in on a little secret in the world of sustainable quilting? If you want a more-bang-for-your-buck linen purchase, it’s aaaall about the duvet covers. We’re talking maximum yardage. While they’re a little pricier than bed sheets, they’re double the material! If you’re lucky, you may just come across a homemade double-vintage-flat-sheet-turned-duvet-cover (with bonus lace) like the beauty pictured above. And if you’re REALLY lucky, it may even ring up the same price as a regular flat sheet. Score! 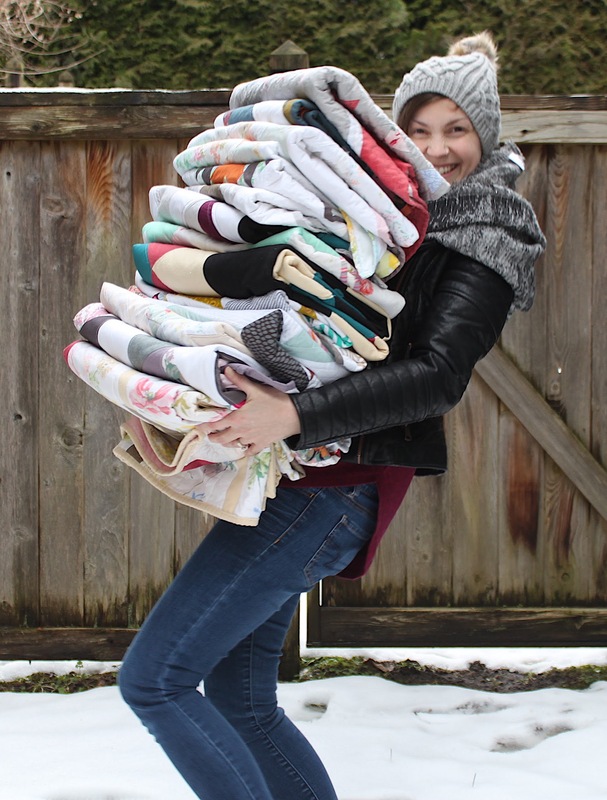 As I’ve mentioned in a previous post, I’m participating in the Facet+Plus QAL hosted by Amanda at This Mom Quilt and the first week was all about fabric selection! Taking a few cues from nature, I’ve been finding myself drawn to more purpley shades lately. Couple that with some of the colorway suggestions used in Amanda’s week #1 F+P post, I decided on a newly thrifted, totally gorgeous white and mauve floral background, accented with wine and lavender colored faceted pluses with fabric from my stash. Anyone else quilting along? If you’re on Instagram, follow @thismomquilts and don’t forget to use the hashtag #fandpQAL in your posts! Here’s the schedule for Amanda’s bi-weekly posts, so stay tuned! Be sure to follow This Mom Quilts for updates. Can’t wait to see all your beautiful Facet + Plus quilts! Thank you so very much Amanda for you lovely post! You sure found a lot of lovely things thrifting and they will become really wonderful things once you breath new light into them. You are so good at this blogging thing, such a good networker and cheerleader! Happy sewing with your new finds. Congratulations on your great thrifting scores! I love your nature inspiration photos, too. Thank you! Can’t wait to get sewing!